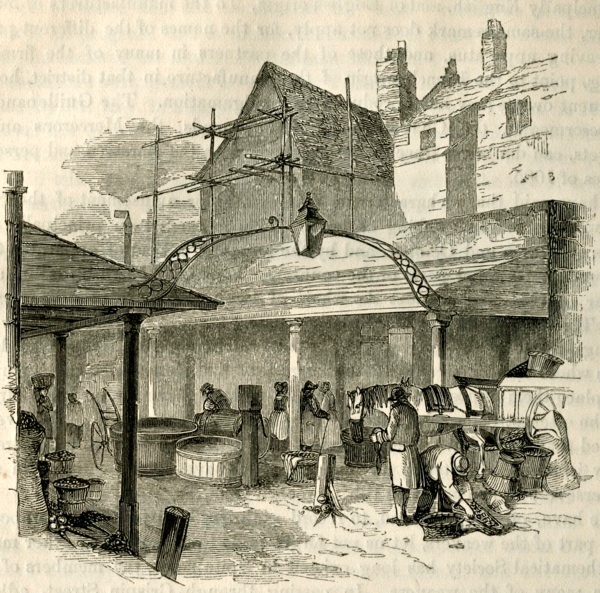 George Dodd came to Spitalfields to write this account for Charles Knight’s LONDON published in 1842. 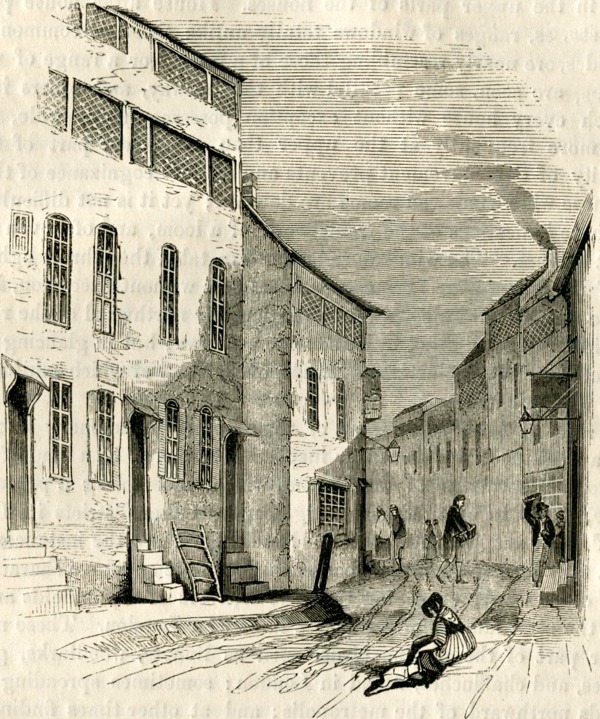 Dodds recalls the rural East End that still lingered in the collective memory and described the East End of weavers living in ramshackle timber and plaster dwellings which in his century would be “redeveloped” out of existence by the rising tide of brick terraces, erasing the history that existed before. It’s just as well that she did marry the silk weaver or I wouldn’t be writing this response! It’s almost as if I had been waiting for this kind of post describing the life as it was happening during the silk weavers apoge and putting a bit of green back in Bethnal Green. Ever since my first ever encounter with a huguenot descendant, Monsieur Préou, a patient at Mile End Hospital during my nursing training, I’ve wondered about the French link to this part of London. I can’t describe the effect of this post but it’s made so much come alive in my imagination and who knows, in past lives memories. Lyon, silk capital, in parallel time was undergoing revolts because of the poverty of the silk weavers. As nowdays, brand names clothes are manufactured in Bengladesh and other poverty strickent areas of the globe, only to be noticed when it all goes up into flames!!! It would be interesting to have a connection of Huguenots celebrations with today’s Bengladesh immigration history in this part of London. makes me think of the back of the Taj Store in Brick Lane where farming tools implements are displayed next to the spices and other commodities, including split peas, and if not red herrings, dried and/or salt fish. The derelict aspect of the paneless windows is also reminiscent of Brick Lane in the 80s where budleia was seen in virtually all houses in the street and pigeons were flying in and out of windowless first floors. Strange to feel nostalgic for an area so full of hardships for so many! … but nostalgia is a strange thing. What a great joy to see what was there before the 18th century terraces and merchant houses that in turn led us to where we are all today! When you look at those old buildings and think of the weavers working in dim light for long hours you wonder about the state of their eyes. When I was young an old lady lived opposite me who had been a court dressmaker straining her eyes in those conditions, she was so blind that she could not see to her front gate. Very interesting to see Spitalfields Market, where my great-grandfather was a potato merchant – at least his widow was described as “potato merchant” in the phone directory. Apparently Charles Harper, according to family story, “owned half of Spitalfields Market, and his son James gambled it all away”. Are there any more Harpers in the area? – I think mine lived in North Street – must look it all up – Alice Ada Harper, who had about four sisters and two brothers, married George Robert Walker in late 1800s. How wonderful, what fabulous drawings and story. My Great great grandfather was living at 24 Pelham Road when he was 16, and fatherless, as an appretice to a man who was a Chair Maker. My ggrandfather went on to become a Cabinet maker employing his family and others. I am so pleased to find this drawing and details. I wonder, is Pelham Road in any way connected with the book/movie “The Taking of Pelham 123″. I have seen an American version but I think the first version I saw was from the UK and wondered if this is where the name comes from? Oh this has answered decades of confusion for me. You see, I spent my first five years living at 186 Pelham Street Buildings, Woodseer Street. I moved with my parents as part of the slum clearances at the end of the 1950s. Over the intervening years I have often tried to research where I came from but I have never found mention of Pelham Buildings. I’ve found the odd mention of Pelham Street but believed it to be an adjunct to Woodseer Street, not a former name. I still need to find out more about the buildings, if anybody knows anything but I can rest easier just knowing the answer the Pelham Stree/Woodseer Street mystery. Thank you. 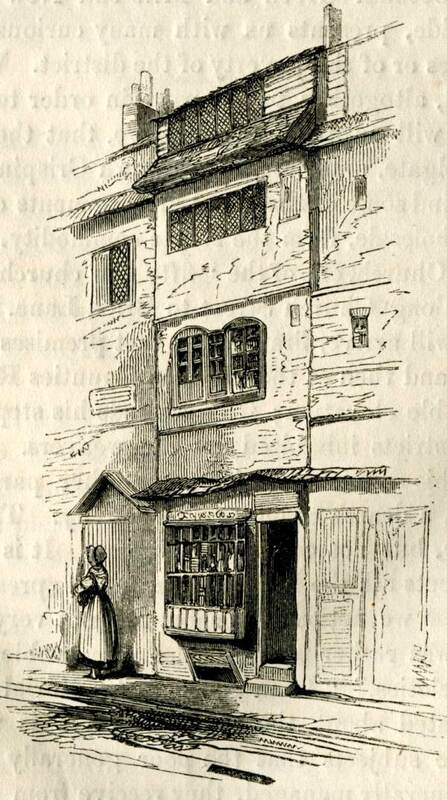 My grandparents owned a grocery shop at 41 Artillery Lane. I lived at that address for several years and also in a flat at 56 Artillery Lane which has the best Georgian shop front in London. I attended St. Joseph’s school in Gun Street.